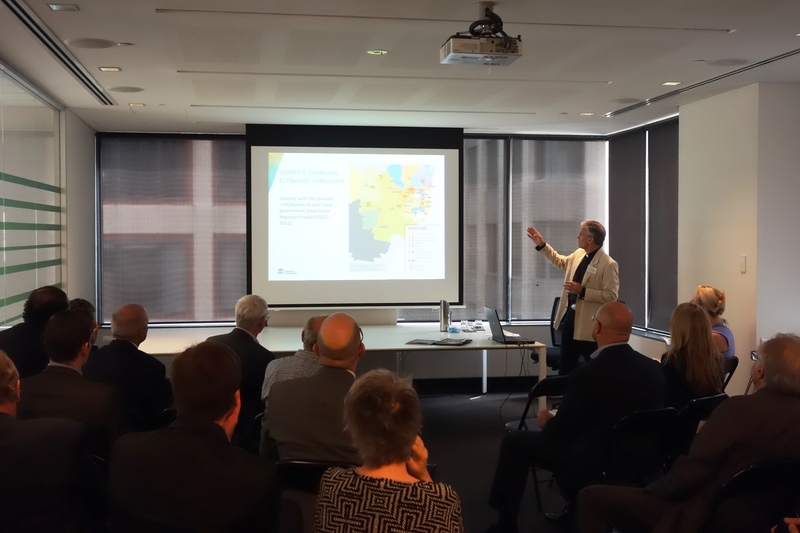 Meinhardt Sydney Office had the privilege of hosting an Urban Taskforce member only event on the recently released new Metropolitan Plan for Sydney- “A Plan for Growing Sydney”. Urban Taskforce provide a forum for its members which comprise of prominent property developers and equity financiers to engage in constructive dialogue with both government and the community. Meinhardt is a Core Member of the Urban Taskforce and is the selected representative engineering and professional services firm. We were joined by Halvard Dalheim- Acting General Director, Planning and Design of the Department of Planning and Environment and Dr Liz Develin, Deputy Secretary- Growth, Design and Programs of the Department of Planning and Environment who gave a presentation on the content and delivery of the new Metropolitan Plan. A Plan for Growing Sydney is the NSW Government’s 20-year plan for the Sydney Metropolitan Area. It provides direction for Sydney’s productivity, environmental management, and liveability; and for the location of housing, employment, infrastructure and open space. 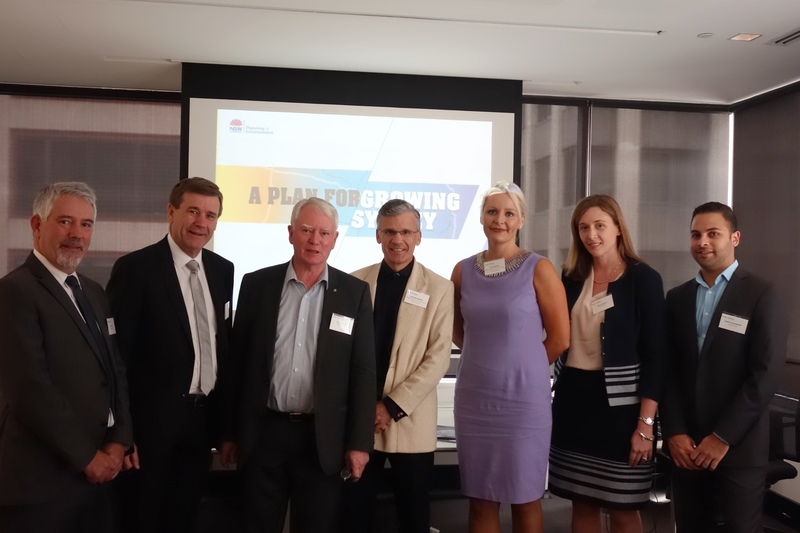 Pictured below from left to right are: Jon Brock (Meinhardt National Director – Land Development, Infrastructure & Environment Sectors), Denis Young (Meinhardt Managing Director), Chris Johnson (CEO Urban Taskforce), Halvard Dalheim (Acting Executive Director, Planning and Design- Dept of Planning and Environment), Dr Liz Develin (Deputy Secretary Growth, Design and Programs- Dept of Planning and Environment), Diana Brajuha (Meinhardt Senior Associate Planning) and Simon Gunasekara (Meinhardt Planner).